By Louis Jacobson on Wednesday, October 24th, 2018 at 4:48 p.m.
Canada legalized marijuana on Oct. 17, 2018. It didn’t take long for jokes to waft onto social media. One of the most popular of these was an Oct. 18 article headlined, "Canada Pays Off Entire Federal Debt One Day After Marijuana Legalization." 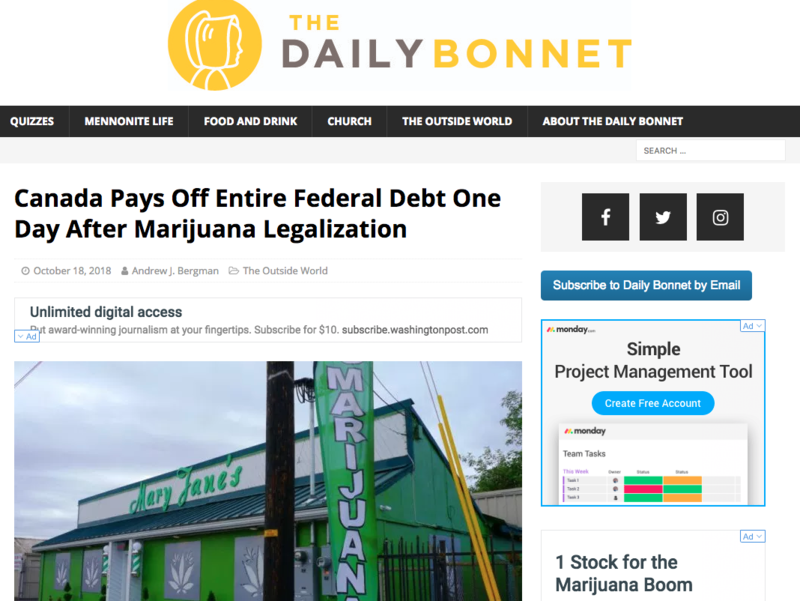 While some sites did not clearly make the distinction, the story originated on a Canadian publication called the Daily Bonnet, which is open about being a satire site. "Less than 24 hours after cannabis became legal in Canada, the federal government announced they had made so much money in tax revenue from the sale of legal weed that they were able to pay off the country’s entire $650 billion debt.
" ‘I told you so,’ said Prime Minister Justin Trudeau, looking considerably less handsome than usual with his blood-shot eyes. ‘It’s remarkable! You’re crippled with debt one day and the next it’s all vanished into thin air. 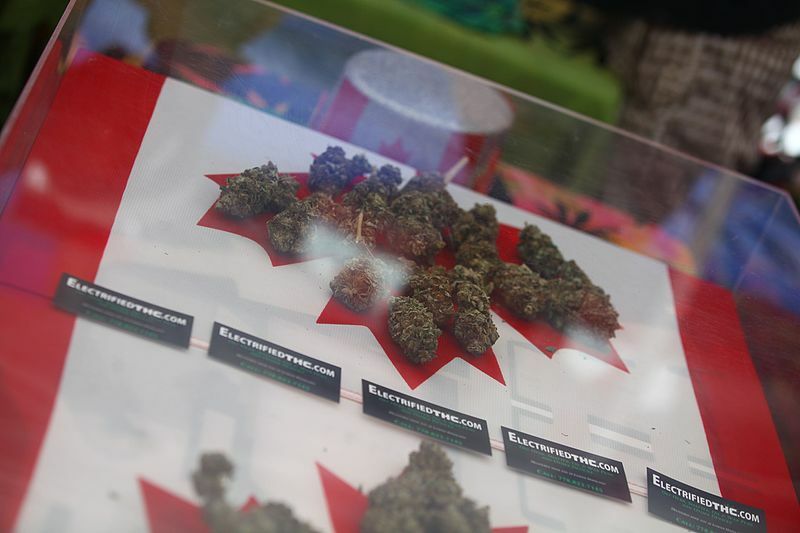 It’s just one more thing that makes Canada the great country that it is!’ "
Millions of Canadians potheads lined up outside their local marijuana shops to legally purchase weed and pay their taxes for the first time. "It’s like the 60s all over again! But this time the government likes us!" said one Ottawa man, who purchased three hash brownies and a half dozen joints. "Who would have thought getting stoned would have such a beneficial impact on the Canadian economy! This is better than the oil sands!" "The Daily Bonnet "is a Mennonite satirical news site from the heart of the Bible belt, Steinbach, Manitoba," the site’s "about us" page says. "Apart from the names of local and international celebrities, all characters and situations presented are entirely fictitious." Anyone sharing this without clearly noting that it’s satire is sharing inaccurate content. 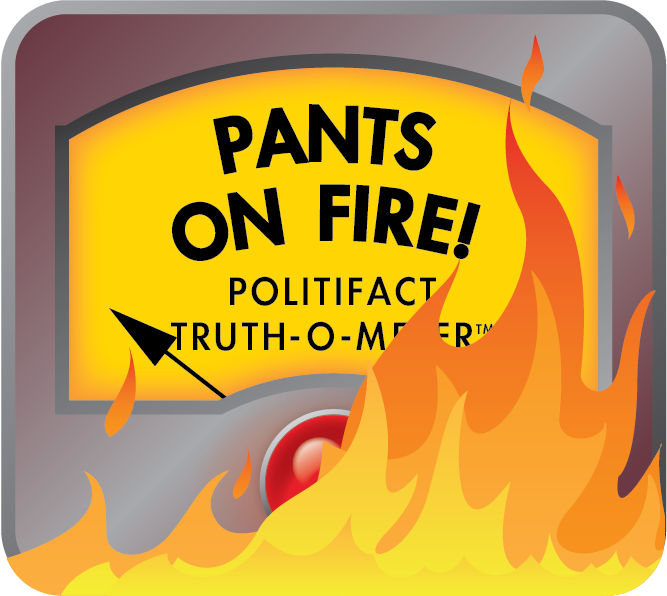 We rate it Pants on Fire. Published: Wednesday, October 24th, 2018 at 4:48 p.m.